I regularly use grainy textures in my artwork, but typically I’ll import a JPG or PNG texture file, which can be time consuming and cumbersome to use. 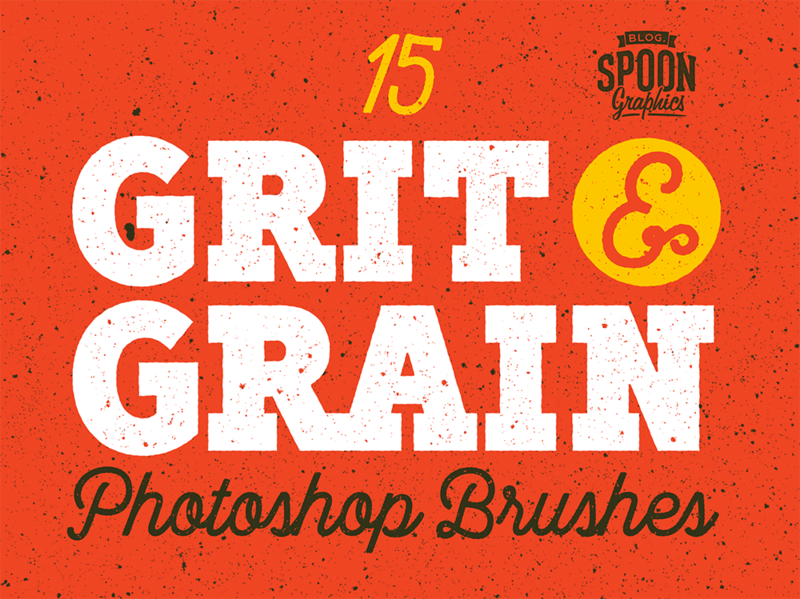 To provide myself with textures I can use on-demand, I’ve produced a brand new set of grit and grain textures in the form of Photoshop Brushes. Once installed, these 15 Brushes are ready for action in my Brushes panel, so I can quickly distress my designs with a single click. You’re totally welcome to use them too, so go ahead and download them for free! 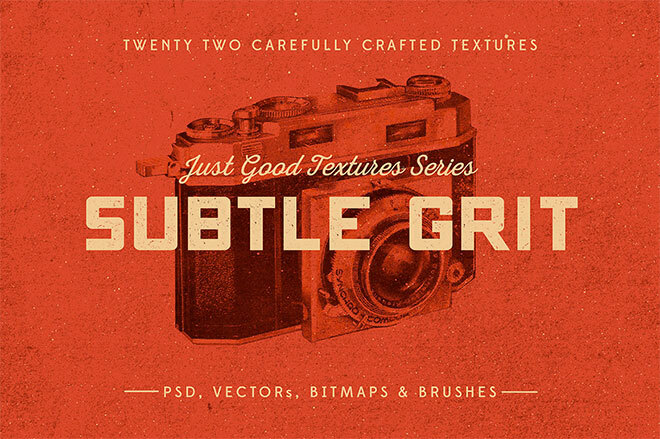 This set of Grit & Grain Photoshop Brushes contains 15 individual textures, comprising of 5 Light, 5 Medium and 5 Heavy textures so you can apply just the right amount of grunge you desire! They’re really handy for quickly adding grain to a background, or using within a layer mask to erase portions of your artwork for a gritty appearance. Not only are Photoshop Brushes immediately accessible via the Brush tool, you can easily change the colour and size, which would otherwise take a few extra steps with a basic image texture. 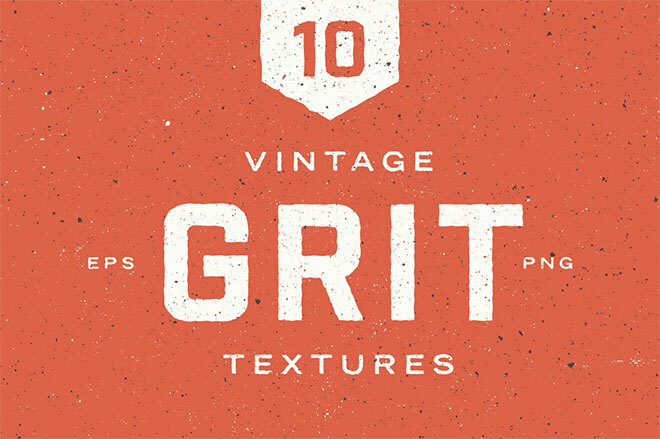 The following resources cost a little money, but I definitely recommend checking these related products out to complement my Grit and Grain texture brushes. Glad you like the free texture brushes! Merci Chris, for all the lovely stuff you share with us! Thank you Ang, glad you like them! thank you, and merry christmas!! 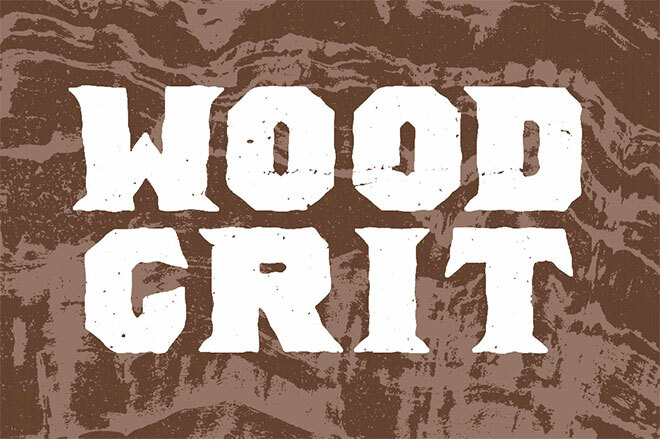 Maybe a weird question but what font did you use on the words ‘grit grain’? Thanks! I was thinking the same thing actually! Is that font on your site too? :) Glad you like the free brushes! wow! thank you so much! Happy Christmas.. Okay, I just spent 30 minutes immersed in playing around with these brushes before I realized that the time had past– ah, must get back to the work at hand, but WOW, and thank you! And, of course, Happy Christmas! You are awesome – thank you!!!! Awesome work, thank you very much Chris! Useful as usual. I needed this set for my actual project, thank you! Hi Chris, thanks for this! Btw can i ask what font is the script one you used on the poster? Thanks! As always, a great set of brushes to help make the workflow easier, and quicker. Thank you kindly!